Owing to our rich industrial expertise, we have been able to manufacture and supply supreme quality Coir Brick Making Press. 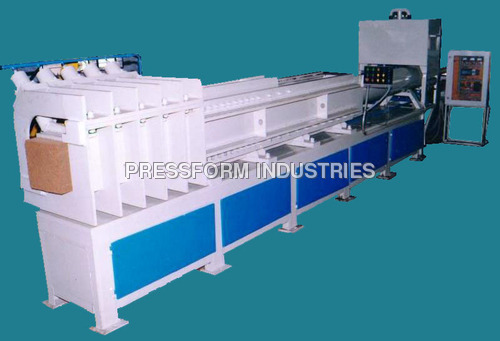 This press machine is made using best grade components as per the prevailing norms and regulations of this industry. Press machine offered by us is suitable for compaction and industrial concrete flooring. This press machine offered by us can easily bear heavy weight. Our Coir Brick Making Press is also reckoned for manufacturing bricks in variegated sizes as per the stated specifications of our valued patrons. Pressform Industries conceived its business in the year 1987 as a soleproprietorship firm in the industry. We have emerged as the most successful organization of this industry in the past few years. We are the top most manufacturer, supplier, wholesaler, distributor and trader of Hydraulic Pack , Hydraulic Power Pack, Hydraulic Valve, Hydraulic Pump and many more products range. With our main office situated at Chennai, Tamil Nadu (India) we are also supplier and trader of Bosch products. We are an ISO 9001:2008 certified company and an authorized dealer of Bosch. Our main focus is to offer the supreme quality product range to our valuable clients with an utmost commitment for timely delivery. We have successfully made a significant mark through our quality standards for all our range of products using our decade of experience in this industry. We regularly upgrade our technical skills in order to keep our organization updated with the latest running trends and also trained our team of personnel with the same.